Mumbai: Network18 Media and Investments Ltd said on Friday that its consolidated net loss for the quarter ended 30 September, 2011 has widened to ₹ 70.26 crore burdened by higher production, distribution and staff costs. 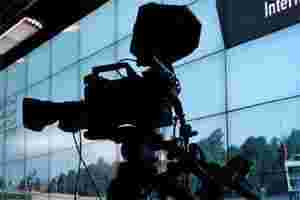 Network18 Media and Investments’ consolidated sales for the three months ended 30 September, 2011 increased 19.88% at ₹ 425.35 crore as against ₹ 354.79 crore during the corresponding quarter of last financial year. During the period under review, the company’s production, distribution and administration expenses increased to ₹ 353.72 crore as against ₹ 256.16 crore in the year ago period. Staff costs also rose substantially to ₹ 111.80 crore during the quarter as against ₹ 83.73 crore in the same period last fiscal, it said. The company’s TV18 business (that includes news and entertainment verticals) reported revenues of ₹ 302 crore for the quarter, a growth of 17% over the corresponding quarter last year.